Get ready to to enjoy an epic journey through a world of scope and depth never before seen on the Android platform! Looks good, are the sixteen characters classes or individually made characters each with a different backstory? I like the look so far. Will there be options to play as a combat-avoiding, stealthy, pacifist, persuasion-using character? Each character is a unique individual with a larger back-story. By finding and engaging in the character's story, you can weave their life into the larger story at hand. Therefore, as you travel the world and traverse the story, you may optionally recruit these additional characters to augment your team. 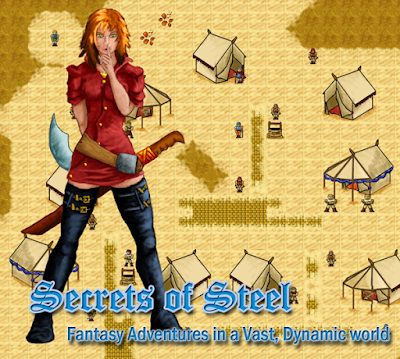 Secrets of Steel has been designed as a tactical RPG, that will focus on story, quests, social and story interaction, and on team management in fighting. The majority of conflicts will be resolved in a tactical combat, if not by story choices. Will it be possible to fight perturbed penguins, rampaging robins, or incensed ibises? We aim solely to please our customers. Ibises actually stand to play a pretty major role in some of the world mythology, and they are in fact, incensed. Has Cory been slipping you confidential information under the table? It's probably much too early to ask this, but are you planning to release this as a completed 'when its on the market, its as complete as it gets' product, or will it be a more dynamic 'as we get time we plan to add content' style like what's being utilized in ST, with updates, new features, etc.? I can pretty much promise that we will use the same ST model with an ongoing stream of updates and new features. 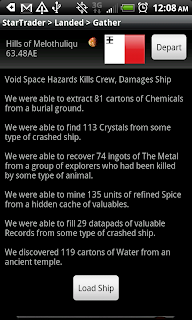 It will also be my second serious Android application and we're going into the programming part *planning* to extend it in every direction as we go. Things should go more smoothly than with ST! Im hyped for the release of this game, far too few good games on android market(not counting the really casual ones), especially rpgs. There are some promising ones though. Keep an eye on the blog and we promise to keep you tantalized until the upcoming release date!